This 36’ x 13’ CON/SPAN® structure is the centerpiece of Western Michigan University’s recently developed 200- acre business, technology & research park. The university will use the park as a forum for public/private working relationships to benefit both engineering students and industry. The site development of the park was designed with an extensive system of trails. 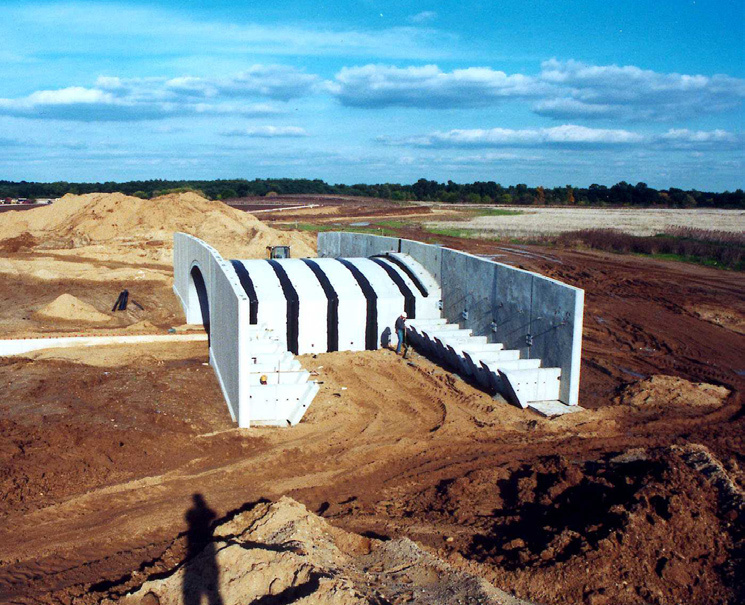 The CON/SPAN® will function both as a pedestrian underpass for one of these trails and a bridge over a drainage channel between two newly created lakes. 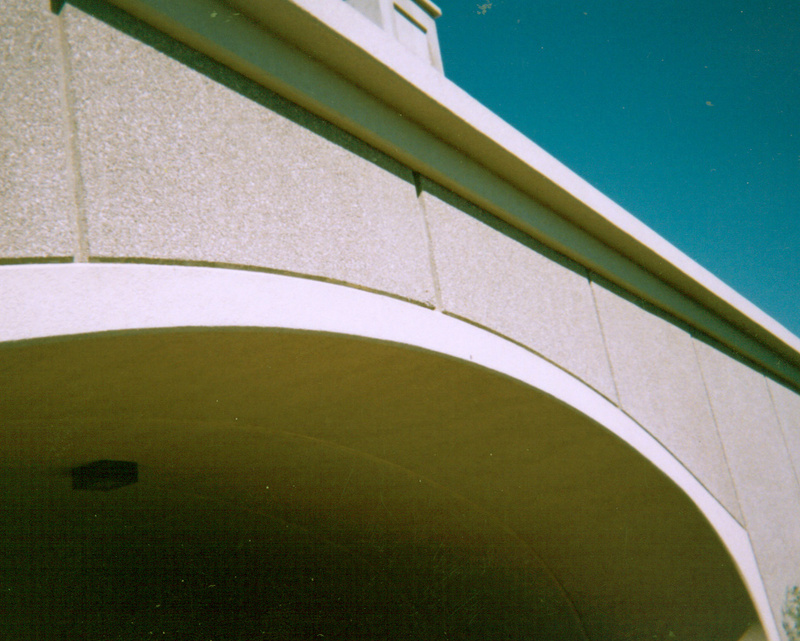 Wingwalls and headwalls were manufactured with limestone exposed aggregate. The interior was coated with a special stucco texture with the color of “Indiana Limestone” The joints between the wingwall panels were manufactured with vertical reveals that were consistant with reveals cast into the headwalls.